Find out what causes you to run to the bathroom after eating dairy, and what you can do about it. While not curable, dairy intolerance symptoms are treatable. Dairy intolerance symptoms can turn up in some people from such common foods milk, cream, and certain cheeses. If you’ve ever experienced stomach pain after taking down a glass a milk or found yourself running to the bathroom after a bowl of ice cream, you may be experiencing dairy intolerance symptoms. Dairy intolerance symptoms are typically stomach-related as your body fails to properly digest the dairy product you consumed. They may consist of, or be a combination of, gas, stomach cramps, bloating, nausea, or diarrhea. Discover the facts about celiac disease symptoms, as well as information on other food allergies. 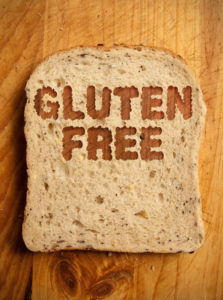 Claim your FREE copy, right now, of our definitive guide on celiac disease and other food allergies. Dairy intolerance may also be commonly known as lactose intolerance. The National Institute of Diabetes and Digestive and Kidney Diseases (NIDDK) estimates that 30 to 50 million Americans are lactose intolerant, according to the U.S. Food & Drug Administration. Lactose is the natural sugar found in dairy products. If you experience dairy intolerance symptoms, your body may have a shortage of lactase, which is an enzyme that breaks down lactose so that it can be absorbed into the bloodstream. Dairy intolerance symptoms typically occur 30 minutes to two hours after consuming dairy. Common foods with lactose include milk, cream, ice cream, sherbet, yogurt, certain cheeses, and butter. Lactose also can be added to prepared foods such as bread, frozen dinners, salad dressings, and more. According to the U.S. Food & Drug Administration, if a food label contains the word, or words, milk, cream, butter, evaporated milk, or others, it may contain lactose. For a full list of terms, check out the FDA’s website. Are Dairy Intolerance Symptoms Related to Milk Allergies? If you happen to be lactose intolerant, that doesn’t necessarily mean you’re allergic to milk. A milk allergy may bring a much more serious reaction and can be life-threatening. But “for most people with lactase deficiency, it’s a discomfort,” said Kavita Dada, Pharm.D., a senior health promotion officer in the Food & Drug Administration’s Division of Drug Information. Lactose intolerance typically is inherited from your parents. Many people do not show symptoms until they reach adolescence. The level of sensitivity to lactose may vary from person to person. Some may be able to have a spoonful of cream or milk in their coffee in the morning without any symptoms. 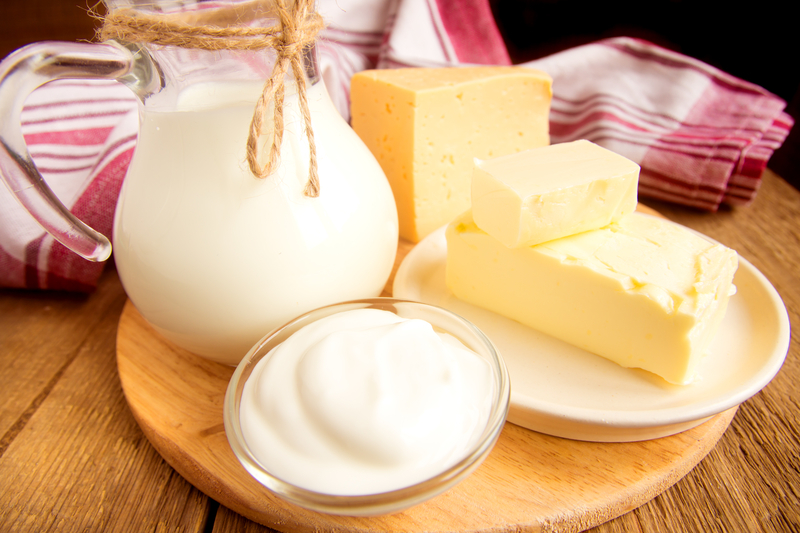 Many people who are sensitive to dairy can eat yogurt or cheese without any issues because these foods are made using a fermentation process, which breaks down most of the lactose, according to the U.S. National Library of Medicine. However, others may have a harsh reaction to even a small amount of milk. Lactose intolerance test. You’ll be asked to avoid eating or drinking anything for eight hours before taking this test. After that, you’ll drink a liquid that contains lactose, and then undergo a blood test to measure your blood sugar levels. If those levels don’t rise after you consumed the lactose, you may be lactose intolerant. Hydrogen breath test. After drinking lactose, you’ll take a breath test to determine the hydrogen levels in your breath. High levels of hydrogen may be a sign of lactose intolerance. Stool acidity test. Primarily used for infants and young children, this test measures the amount of acid in your stool after consuming lactose. If there’s a high amount of lactic acid in the stool, it’s most likely a sign that the body isn’t digesting lactose properly. Organic Milk vs. Regular Milk: Does It Really Matter? Is Milk Really Good For You? Unfortunately, there is no cure or treatment for lactose intolerance, but it can be managed. By keeping a close eye on your diet, you can avoid some of the symptoms related to dairy intolerance. Since lactose intolerance symptoms are not life-threatening, a key factor can be to take note of products that give you problems and to avoid eating them in the future. Also, keep a watchful eye on food labels, especially with prepared foods, as they may contain dairy products without you knowing. Many supermarkets now carry lactose-free products, including milk. These products are treated with the lactase enzyme to break down lactose. Some of these products may taste different than their traditional counterpart, but can be a great way to enjoy some of your favorite foods without experiencing the painful discomfort after. Lactase tablets and drops are also available at most pharmacies or stores where over-the-counter medications are sold. By taking these products, it gives your body the lactase enzyme to help properly digest lactose. Consult with your physician before taking these products. allergies, allergy, bloating, blood sugar, blood sugar levels, children, coffee, cramps, dairy, dairy intolerance, dairy intolerance symptoms, diabetes, diarrhea, diet, digestive, food, food allergy, food intolerance, health, health problems, lactose free products, lactose intolerance, lactose intolerance symptoms, lactose intolerance test, milk, milk allergy, natural sugar, organic, organic milk vs regular milk, pain, senior health, stomach cramps, stomach pain, sugar, sugar levels, yogurt. What info do you have on casein/dairy allergy ?? ?